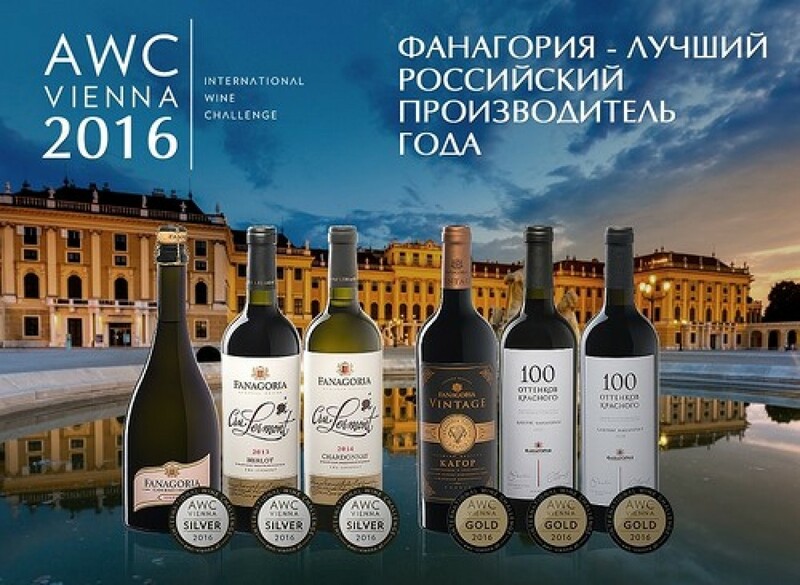 Fanagoria Estate Winery has been conferred the status of ‘The Best Russian Winery of the Year’ at the Austrian Wine Challenge 2016 (AWC) wine competition, annually held in Vienna. According to its organizers, AWC sets “the benchmark for the renowned wine tasting competitions in the world”. This was Fanagoria’s second public acknowledgment as the best Russia’s wine producer. For the first time, Fanagoria got this title at AWC Vienna 2012. Fanagoria has participated in AWC four times. In 2011, the Winery won 2 gold and 6 silver medals. In 2012, the result was 1 gold, 6 silver medals and 2 seals of approval – and the title of the Best National Producer of the Year. In 2014, Fanagoria received 2 gold, 6 silver medals and 1 seal of approval. This year, Fanagoria was able to further develop its achievements, winning 3 gold, 3 silver medals and 2 seals of approval. And, again, the Winery was recognized as The Best Wine Producer of the Year. Besides, Kagor Fanagoria Vintage 2011 entered the Top-3 in its category (Fortified Wines), having surpassed a good many of renowned sherry, Madeira, Port and liqueur wine producers. “The Austrian Wine Challenge traditionally determines the best producer among the participating countries. This is a sort of bonus to the winners in their respective nominations, and Trophy Cup holders. Fanagoria has for the second time been acknowledged ‘the best Russian winery’. For us, it is both a responsibility and pride,” stated Vladimír Pukis, Manager PR & Corporate Communications. The winning wines’ presentation took place at Vienna City Hall on October 23. One hundred best wineries out of the 1,866 taking part in the contest had been invited to the gala evening. Over 3,000 wine experts and wine lovers from different countries got a chance to taste the best wines of the competition. Fanagoria was presenting Kagor Fanagoria Vintage 2011, A Hundred Shades of Red. Saperavi (a Caucasian indigenous variety), and Blanc de Blancs Brut (Chardonnay). We congratulate Fanagoria team on their new victory!